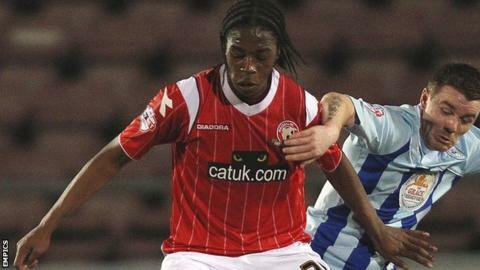 Walsall forward Romaine Sawyers has signed a new two-year deal, tying him to the Banks's Stadium until June 2016. Sawyers, 22, signed from West Bromwich Albion last July, has scored seven goals for the Saddlers in his first full season in senior football. Sawyers has made 52 appearances - 20 of them from the bench - since first arriving at the Banks's Stadium on loan from West Bromwich Albion in March 2013, netting seven times. "It's been an extremely productive season for Romaine," said Walsall manager Dean Smith. "He has certainly showed enough to warrant this new deal. "He has made good progress. I expect him to go from strength-to-strength." Sawyers' form helped the Saddlers become League One play-off challengers for the second successive season. Victory in Saturday's final home game against Colchester United would ensure another top-half finish for Smith's side.